Hungarian rabbi and scholar; born at Bösing Nov. 18, 1866. In 1871 he went with his parents to Jerusalem, where he was educated; and in 1890 he resided at Cairo, Egypt, where he collected ancient Jewish manuscripts. 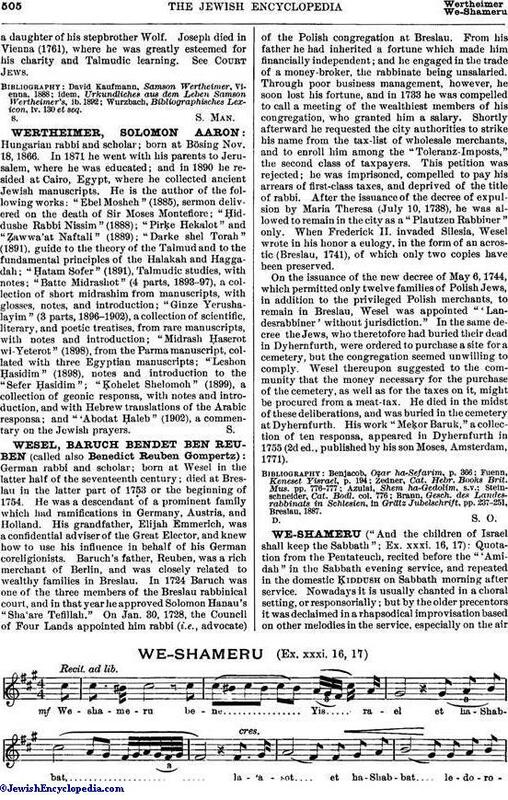 He is the author of the following works: "Ebel Mosheh" (1885), sermon delivered on the death of Sir Moses Montefiore; "Ḥiddushe Rabbi Nissim" (1888); "Pirḳe Hekalot" and "Ẓawwa'at Naftali" (1889); "Darke shel Torah" (1891), guide to the theory of the Talmud and to the fundamental principles of the Halakah and Haggadah; "Ḥatam Sofer" (1891), Talmudic studies, with notes; "Batte Midrashot" (4 parts, 1893-97), a collection of short midrashim from manuscripts, with glosses, notes, and introduction; "Ginze Yerushalayim" (3 parts, 1896-1902), a collection of scientific, literary, and poetic treatises, from rare manuscripts, with notes and introduction; "Midrash Ḥaserot wi-Yeterot" (1898), from the Parma manuscript, collated with three Egyptian manuscripts; "Leshon Ḥasidim" (1898), notes and introduction to the "Sefer Ḥasidim"; "Ḳohelet Shelomoh" (1899), a collection of geonic responsa, with notes and introduction, and with Hebrew translations of the Arabic responsa; and "'Abodat Ḥaleb" (1902), a commentary on the Jewish prayers.